Region: Located in the heart of historic Stowe Village. 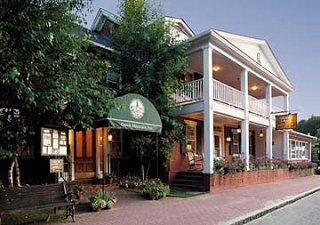 Built as a private residence in 1833 and now beautifully restored, the historic Green Mountain Inn offers guests the perfect blend of modern comfort and country elegance with 107 antique furnished rooms, exquisite fireplace suites, and luxury village apartments. Amenities at the Inn include a cozy library and living room, two acclaimed restaurants, a fully-equipped health club, game room and a year-round outdoor heated swimming pool. Just outside our door, Stowe Village invites you to enjoy its many galleries, historic buildings, Vermont specialty shops and the award-winning Stowe Recreation Path. The Inn is close to all attractions and recreational activities in the Stowe area, including hiking, biking, canoeing, fly-fishing, shopping and in the Winter cross-country skiing, alpine skiing and snowboarding on Mt. Mansfield and much more!